Coco & Co. with a classic, THE classic, example of a "soap gag". 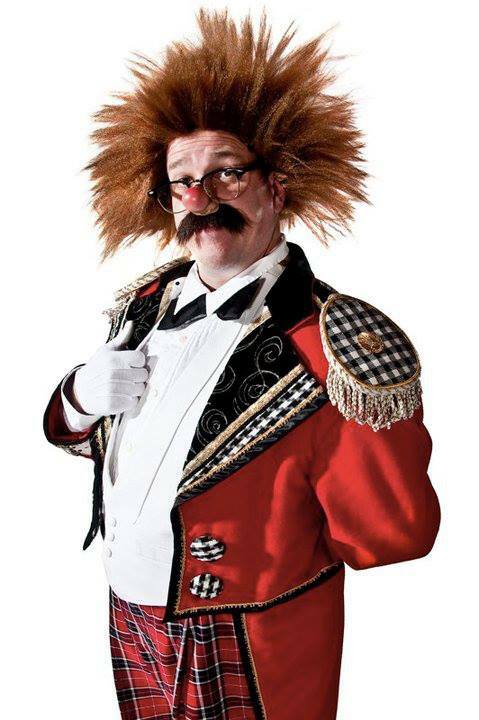 I leave for another International Clown Festival this evening, this one in Hangzou, China, where I am overwhelmed to once again find myself working alongside some of the best clowns anywhere in the world. I apologize in advance if daily postings are interupted between now and my return on October 10th. Click the title of this post for more info. 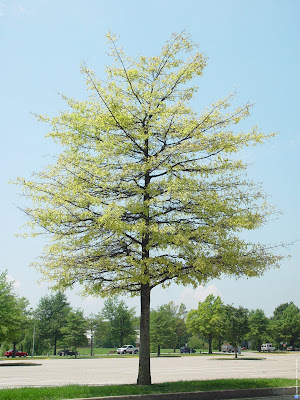 Click the title of this post for even more info. To get to the bottom of this, see below. Click the title of this post for a whole load of more info. See that guy's picture up above? 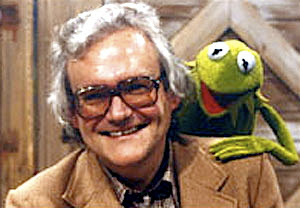 That's the late Jerry Juhl, one of the grand geniuses behind The Muppets. Today is the first anniversary of his passing. Jim Henson brought the Muppets to life. 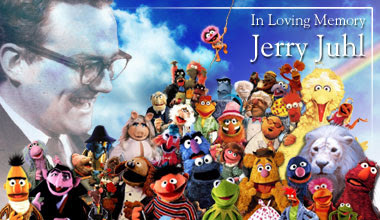 Frank Oz helped give them great character. Jerry Juhl made them silly. Today is Jerry Juhl Day, a day that his friends have designated to remember the man...and the way they suggest to best honor him is to do something silly. You can learn a little more about Jerry Juhl Day by clicking on the title of this post...really. 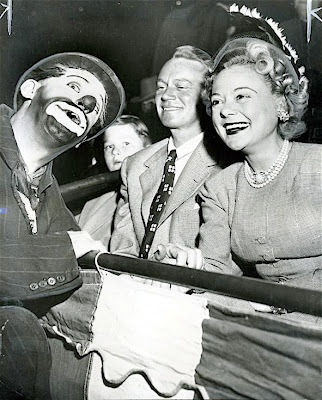 "Ice Queen Sonja Henie is amused by the antics of clown Happy Kellams as she watches a Chicago circus performance. Sonja and her brother Leif flew from Hollywood to attend the opening performance of the Cole Bros. Circus, which they'd just bought in early spring of last year." More surprising than the bad airbrush job that someone did on Happy's face is the news that Sonja Henie ownded the Cole show in it's last season?!? 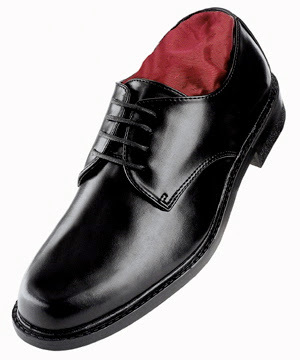 The Clyde Beatty-Cole Bros. Circus Clown Alley performing probably the best looking gag in the history of that show, The Castle Gag, written and produced by Dean "Elmo Gibb" Chambers. It's hard to make out the faces but it looks to me as though Elmo is the knight on the left who beheads the rival, Mike Snider is the knight who knocks on the door and it's clearly Buck Nolan as the queen at the end. Ahhh, a blast from the past. This was done for Sesame Street in 1972, I believe in California. I'll need to watch the clip a few more times to rattle the memory bank for the arena name. 7. ? Not sure at all ? I'll look at it again and see if I can clarify the weak spots. Steve, thank you for a million things, this is just the latest! 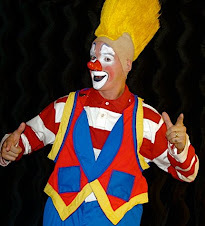 Blinko was a longtime Ringling clown and an even longer fixture on the Shrine circuit before finally settling in for an equally long run at the Circus Circus Hotel & Casino in Las Vegas. Ernie did a lot of work for Al Dobritch and was heavily featured in Dobritch's publicity materials. Some Ringling clowns, featuring Prince Paul and Swede Johnson assisted by some recent Clown College graduates (in a group that looks to include Steve Smith and Tim Torkildson), performing the classic Otto Griebling-created Clown Car Gag for Sesame Street in the early 70s. Check out that Bill Ballantine paintjob on that, um...what IS that? Is that a Gremlin or a Pacer? Couldn't have been a Pinto, it didn't explode at the end. I wonder if the poster is only stuck to the door so that the Ringling logo would be seen in the piece? Pat: You may have received responses by now about Shorty Hinkle, but assuming that it's the same Hinkle, I believe he's buried in a cemetery at Willard, Missouri, near George Carden's quarters. He died in the early 2000s. I believe I saved the story from the Associated Press and/or Springfield, MO, newspaper, and I will look for it in my boxes of clips. In the meantime, as I recall, Shorty had been working for Carden for many years, and in his waning years, Carden was taking very good care of him. (Carden himself was adopted by Larry Carden, co-owner of Carden-Johnson Circus when Larry married George's mom when George was about 8 or 10 years old--I just found this out last year). I hope this helps in your quest for information. >Thanks but that isn't Shorty Hinkle. He died Feb. 27, 1977. Was cremated in Florida. Ashes? >Appreciate you sending me any information. Does anyone know who the gals were with him in front of the side show? PARIS, France (AP) -- Marcel Marceau, who revived the art of mime and brought poetry to silence, has died, his former assistant said Sunday. He was 84. Marceau died Saturday in Paris, French media reported. Former assistant Emmanuel Vacca announced the death on France-Info radio, but gave no details about the cause. 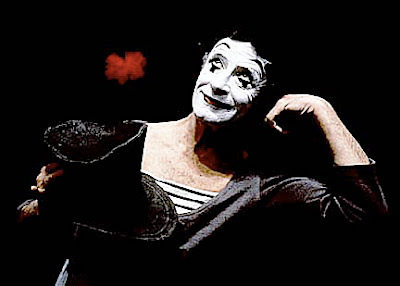 Wearing white face paint, soft shoes and a battered hat topped with a red flower, Marceau, notably through his famed personnage Bip, played the entire range of human emotions onstage for more than 50 years, never uttering a word. Offstage, however, he was famously chatty. "Never get a mime talking. He won't stop," he once said. A French Jew, Marceau survived the Holocaust -- and also worked with the French Resistance to protect Jewish children. His biggest inspiration was Charlie Chaplin. Marceau, in turn, inspired countless young performers -- Michael Jackson borrowed his famous "moonwalk" from a Marceau sketch, "Walking Against the Wind." Marceau performed tirelessly around the world until late in life, never losing his agility, never going out of style. In one of his most poignant and philosophical acts, "Youth, Maturity, Old Age, Death," he wordlessly showed the passing of an entire life in just minutes. "Do not the most moving moments of our lives find us without words?" he once said. Prime Minister Francois Fillon praised Marceau as "the master," saying he had the rare gift of "being able to communicate with each and everyone beyond the barriers of language." Marceau was born Marcel Mangel on March 22, 1923, in Strasbourg, France. His father Charles, a butcher who sang baritone, introduced his son to the world of music and theater at an early age. The boy adored the silent film stars of the era: Chaplin, Buster Keaton and the Marx brothers. 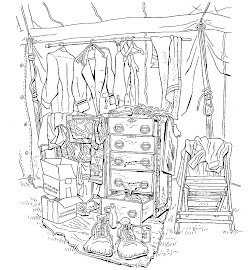 When the Germans marched into eastern France, he and his family were given just hours to pack their bags. He fled to southwest France and changed his last name to Marceau to hide his Jewish origins. With his brother Alain, Marceau became active in the French Resistance. Marceau altered children's identity cards, changing their birth dates to trick the Germans into thinking they were too young to be deported. Because he spoke English, he was recruited to be a liaison officer with Gen. George S. Patton's army. In 1944, Marceau's father was sent to Auschwitz, where he died. Later, he reflected on his father's death: "Yes, I cried for him." But he also thought of all the others killed: "Among those kids was maybe an Einstein, a Mozart, somebody who (would have) found a cancer drug," he told reporters in 2000. "That is why we have a great responsibility. Let us love one another." When Paris was liberated, Marcel's life as a performer began. He enrolled in Charles Dullin's School of Dramatic Art, studying with the renowned mime Etienne Decroux. On a tiny stage at the Theatre de Poche, a smoke-filled Left Bank cabaret, he sought to perfect the style of mime that would become his trademark. Bip -- Marceau's on-stage persona -- was born. 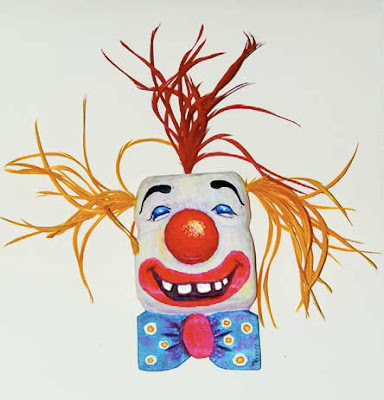 Marceau once said that Bip was his creator's alter ego, a sad-faced double whose eyes lit up with child-like wonder as he discovered the world. 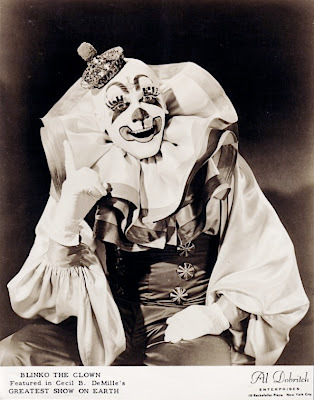 Bip was a direct descendant of the 19th century harlequin, but his clownish gestures, Marceau said, were inspired by Chaplin and Keaton. Marceau likened his character to a modern-day Don Quixote, "alone in a fragile world filled with injustice and beauty." Dressed in a white sailor suit, a top hat -- a red rose perched on top -- Bip chased butterflies and flirted at cocktail parties. He went to war and ran a matrimonial service. In one famous sketch, "Public Garden," Marceau played all the characters in a park, from little boys playing ball to old women with knitting needles. 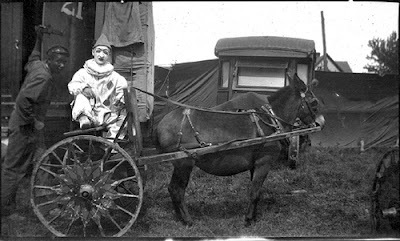 In 1949 Marceau's newly formed mime troupe was the only one of its kind in Europe. But it was only after a hugely successful tour across the United States in the mid-1950s that Marceau received the acclaim that would make him an international star. Single-handedly, Marceau revived the art of mime. "I have a feeling that I did for mime what (Andres) Segovia did for the guitar, what (Pablo) Casals did for the cello," he once told The Associated Press in an interview. In the past decades, he has taken Bip to from Mexico to China to Australia. He's also made film appearances. The most famous was Mel Brooks' "Silent Movie": He had the only speaking line, "Non!" As he aged, Marceau kept on performing at the same level, never losing the agility that made him famous. On top of his Legion of Honor and his countless honorary degrees, he was invited to be a United Nations goodwill ambassador for a 2002 conference on aging. 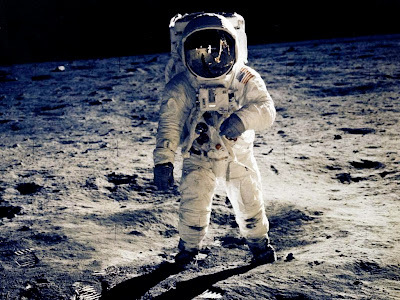 "If you stop at all when you are 70 or 80, you cannot go on," he told The AP in an interview in 2003. "You have to keep working." Funeral arrangements were not immediately known. The "One-Room House" from THE SCARECROW, released in late December 1920 and written and directed by Buster and Eddie Cline.